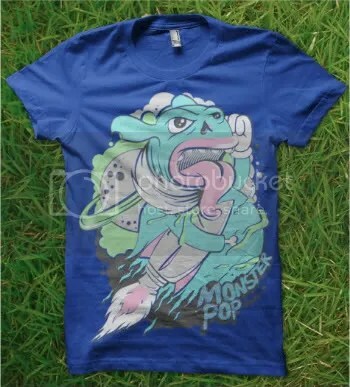 This tee titled “Pop’s Adventure,”brought to you by Monster Pop Apparel, is quite fun to look at! What’s this portly monster doing in outer space? And why is Pop’s right hand gone? By the looks of it, he’s on one serious mission. Let’s just hope that the rocket contains enough fuel to get him wherever he needs to go! Otherwise, I’m not sure how swimming in space will work with one hand and no legs. You can purchase “Pop’s Adventure” for $20 at Monster Pop. It’s also available in two other colorways (black and cranberry), but supplies are extra limited. If your size is still available, I suggest that you pick up your favorite now! This new tee from Rise and Resist Apparel (randr) is so awesome! 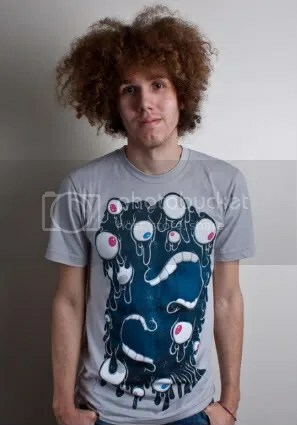 “Blob” is a tee with, you guessed it, a blob. 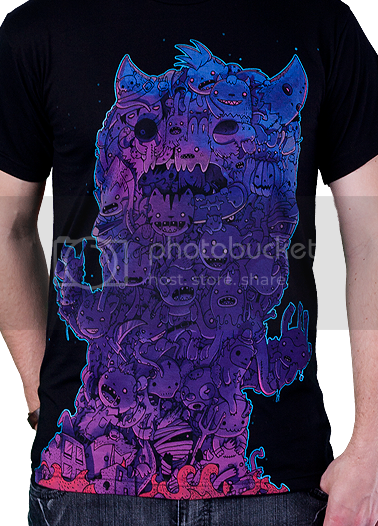 This one’s full of eyeballs and has a pair of mouths. Created by Atomic Child, this piece is drawn in a style that doesn’t freak me out like a real-life blob of this type would. It looks like it could be a cartoon character seen on television, and I love that! This tee is up for sale at randr for $20, but you can take $5 off with the code RANDRJKT84 until next Tuesday (11/24)!